Everybody likes a good deal when shopping, right? And if it’s while shopping in Paris, even better. 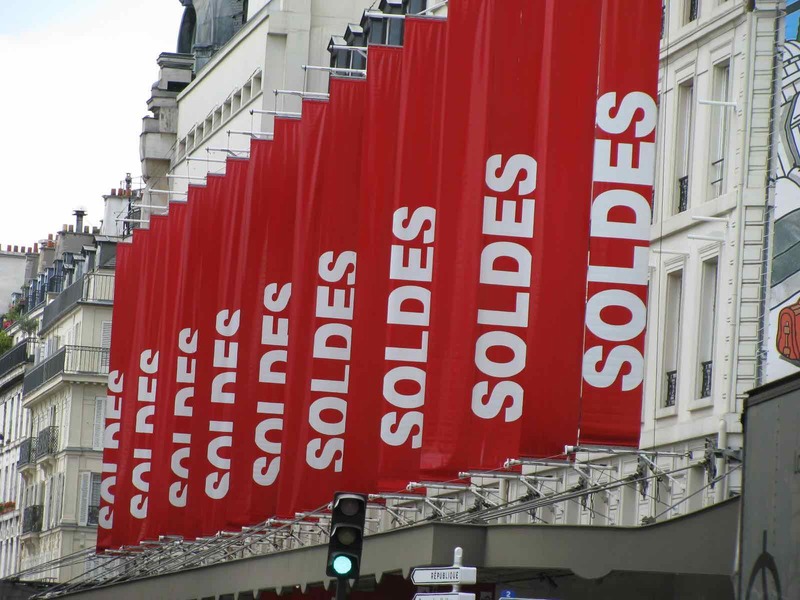 Say hello to the biannual sales, known as les soldes! The dates are chosen by the French government, and they are the only periods of the year when stores can legally sell merchandise at a loss to make room for the new season’s stock. The winter sales begin on the second Wednesday in January (moved to the first Wednesday if the second falls after the 12th of the month), and the summer sales begin on the last Wednesday in June (moved to the second-to-last if the last falls after the 28th of the month). More information about the dates of the sales in Paris can be found here. Both sale periods last six weeks, leaving ample time not only for shopping, but for benefiting from second, third and fourth reductions, allowing you to snag the best deals possible. But, as with most things, there is an art to shopping the sales. 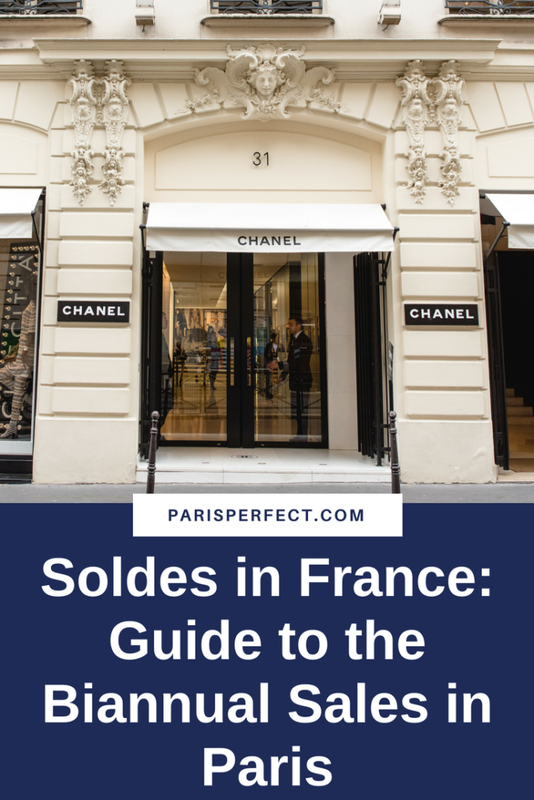 Read on for our guide to help you make the most of the sales in Paris! 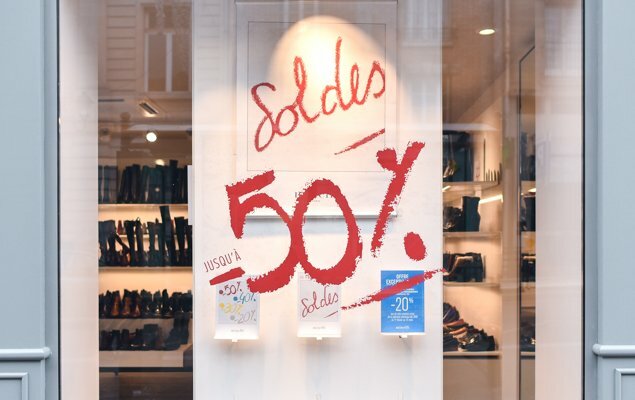 If you want to take advantage of the sales in France, make sure you find out when they start and end! The dates may be different. For example, on the Riviera, they are not the same as in Paris. 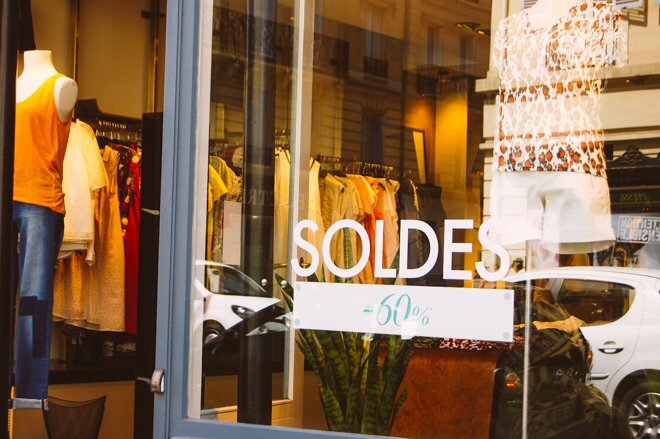 If your trip is taking you to multiple cities in France, be sure to check that the dates of the sales in the other departments you’re visiting. 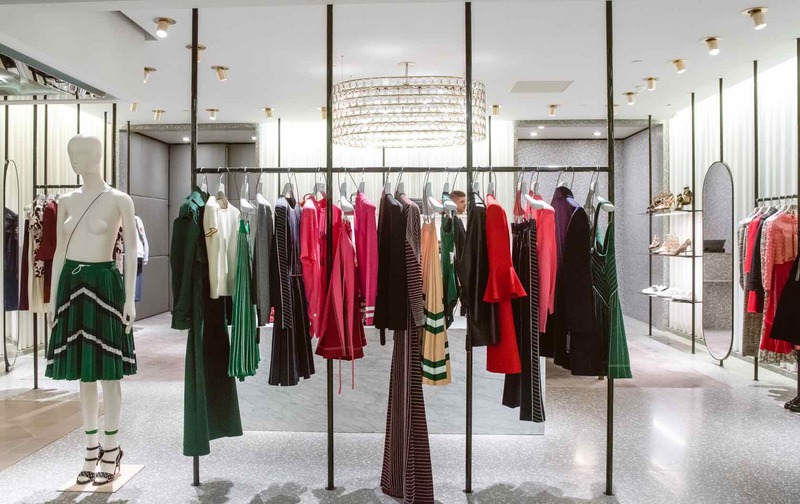 As the sales are scheduled to help stores move out last season’s stock and prepare for the new season, much of what is put on sale is still wearable for the current season. Translation: things will disappear, and fast! Make a list of what you’re looking for ahead of time, and consider checking the websites of boutiques to see if they have the number of available items. Things in every kind of store will be on sale- clothing, shoes, decor- so it’s good to be prepared so you’re not overwhelmed. 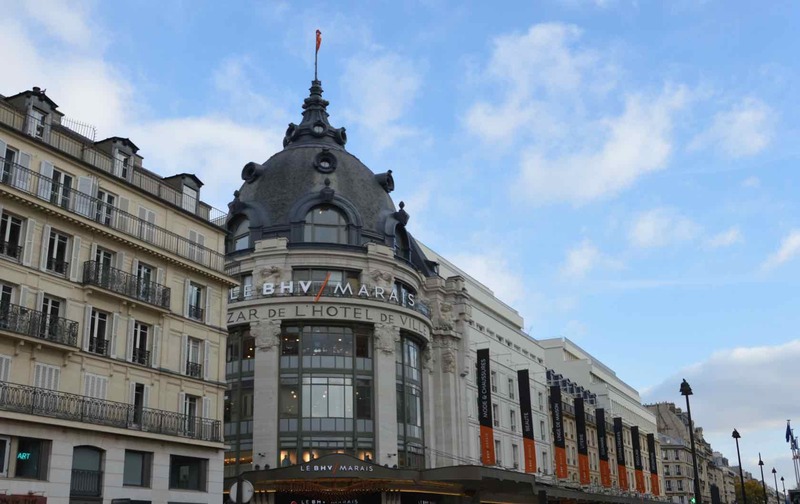 Some of the best places to shop the sales in Paris include the big department stores- Galeries Lafayette, Le Bon Marché, Printemps- as well as the cult French clothing boutiques all Parisiennes love- Ba&sh, Sandro, Maje, Comptoir des Cotonniers, etc. The most popular items will be put on sale first and will sell out the fastest, so don’t wait if you’re in love with a piece; it probably won’t be around for long. However, keep in mind that often quality is better than quantity; don’t necessarily buy a bunch of items just because they’re on sale. If you don’t find anything you like on the first markdown, wait a bit for more items to be marked down. That way, you won’t arrive back home wondering where the heck all this extra weight in your suitcase came from. The later in the sales you shop, the deeper the discounts will be, but the slimmer the pickings. If you’re visiting towards the end of the sales in Paris, you’ll know you’re getting the best deals possible on the remaining stock, so feel free to shop until your heart’s content. You may just find that hidden treasure that everyone else has overlooked, and get it for a great price to boot. If you’re looking to avoid the crowds, it’s important to schedule your shopping trip at the optimal times. As a general rule, stores are less crowded in the mornings and on weekdays than at any other time. If you’d prefer to venture out in the company of a seasoned Paris shopping professional, you can book one of our fabulous shopping tours! Your final reduction will come once you’re heading home, if you’re a non-European Union resident. Be sure to save all your receipts so you can claim back the VAT at the airport. Purchases of €175.01 or more made on the same day, in the same store, are eligible for VAT return. See this guide for more information on claiming your VAT. 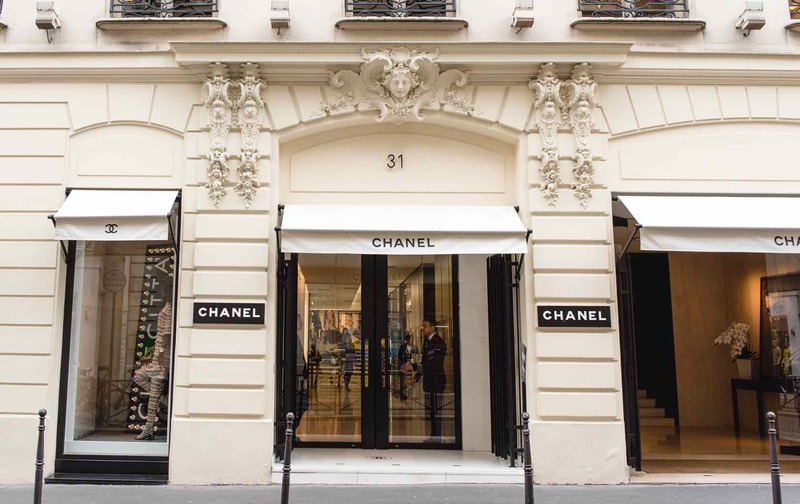 If you’d like some help navigating the Paris sales we offer several private and customized shopping tours. From the Marais to Saint-Germain-des-Prés to the Golden Triangle, we’ll help you find the perfect Parisian finds for less, of course. Contact Natalie at [email protected] for more information about booking a shopping tour or for assistance with planning your vacation. Happy shopping! Posted on Tuesday, July 3rd, 2018 at 12:48 pm in Shopping. You can follow any responses to this entry through the RSS 2.0 feed. You can skip to the end and leave a response. Pinging is currently not allowed. 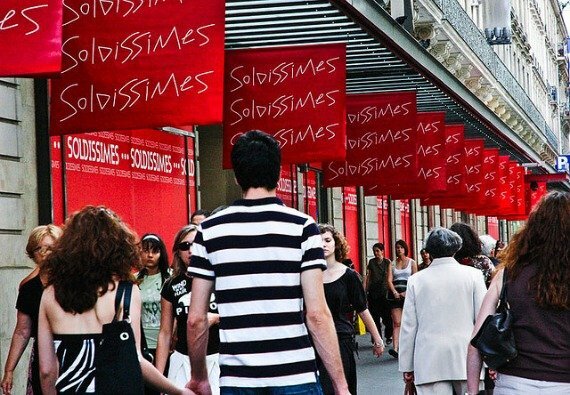 Paris Shopping | Summer Sales with Les Soldes! The Most Anticipated Shopping Event of the New Year is Here! 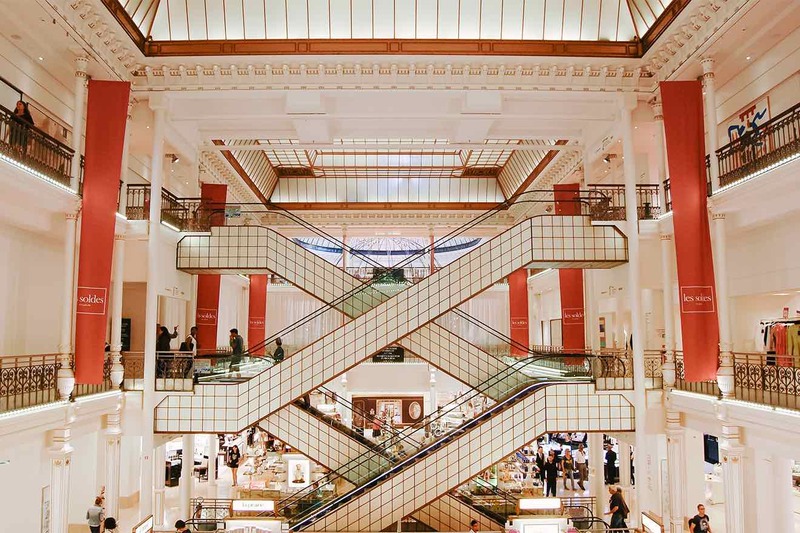 The Shopping Dream of a Lifetime – Paris Summer Sales 2014 The Summer Sales have Arrived in Paris!